Southeast Asia witnessed one of its most significant funding deals to date last week, as Zalora, a fashion-focused e-commerce service backed by notorious German incubator Rocket Internet, landed a $100 million round of investment. Though huge, the deal got a muted response from many technology watchers in the region since it follows a slew of other multi-million dollar investments in Zalora and Lazada, its sister site and fellow Rocket Internet company focused on technology. Yet, despite the scepticism, Zalora has raised upwards of $150 million so far (some rounds were undisclosed) which is quite a feat for a company that is barely one year old, let alone one in Southeast Asia’s nascent online retail industry. The scale of investment being pumped into Zalora (and Lazada) makes them — in appearance, at least — very different companies from the kind that Rocket Internet found notoriety with. That is to say that, rather than cheaply-made clones of successful companies built with acquisition and exit in mind — for example, Rocket Internet sold CityDeal to Groupon for $126 million — the firm and its partners are investing hundreds of millions to make a nascent industry mainstream in a market where most of the world’s biggest e-commerce firms are not present. Launched in March 2012, Zalora is a Rocket Internet-backed company that runs an online platform selling a range of fashion items such as dresses, shows, bags, shirts and more to shoppers across eight markets in Southeast Asia and beyond: Malaysia, Singapore, Indonesia, Thailand, Philippines, Vietnam, Taiwan and Hong Kong. The company is aimed at filling a gap in the market. While the region’s 500 million plus consumers are as focused on fashion and trends as the US, Europe or any other part of the world, there’s no ASOS, Zappos or other online fashion retailer that is catering for their needs across the region. Internet usage varies from market to market by, with smartphone owners growing on a meteoric scale, increasingly fashion conscious consumers are going online — often via mobile — but with no recognized retail platform stepping up to serve them. That opportunity – -which grows as affluence and Internet usage continues to increase — is the spot that Zalora is targeting. The latest $100 million round included investment from a range of regular Rocket Internet financial partners — Summit Partners, Kinnevik and Tengelmann Group, along with Verlinvest — each of which, Ferrarrio says, brings experience to the table. Zalora’s backers include both consumer-focused retailers and those that have found success online. Their feedback and interaction are critical to success, he adds. Rejecting opinion that Zalora is ‘just another Rocket clone’, Ferrario argues that the business aims to be sustainable and long-term. “Selling fashion online isn’t copying. If you open a coffee shop, you’re not copying someone else, like Starbucks. We’re just selling fashion online and I don’t see that as copycatting,” he argues. Zalora recently delivered its one millionth order and, while Ferrario does not disclose any details about company revenue — despite TNW’s keen interest in the topic — he does say that the company has delivered to customers in more than 16,000 cities in Southeast Asia (yes, sixteen thousand), emphasising that service is very much the focus. “Our three biggest priorities are value for money, selection [of product] and service,” Ferrario explains. While those three elements are staples of any business involved in retail and service, Zalora has come up against problems in Southeast Asia, notably the immaturity of delivery networks and lack of established infrastructure. “We’re investing in our regional footprint, to provide a last mile fleet [for delivery] in most capital cities across Southeast Asia. We can do next day or one-day delivery in major cities, and delivery in one or two days in others,” he says, explaining that the goal is one-day delivery to any place in the region. Those issues may have prevented big companies from launching in Southeast Asia (although Amazon recently began delivering electronics to the region) in the past, but Ferrario “expects” that to change sooner or later. Some may feel that a lack of widespread Internet access in many countries means that Southeast Asia is still some way from being online, but Ferrario points to the travel industry for proof of potential in the region. Given the lack of competitors, it’s fair to assume that Zalora is, in effect, building an industry and demand for its services, as well as its own business. Ferraro, however disagrees. “I think we are building awareness of fashion retail online, since e-commerce is already here and successful,” he says. 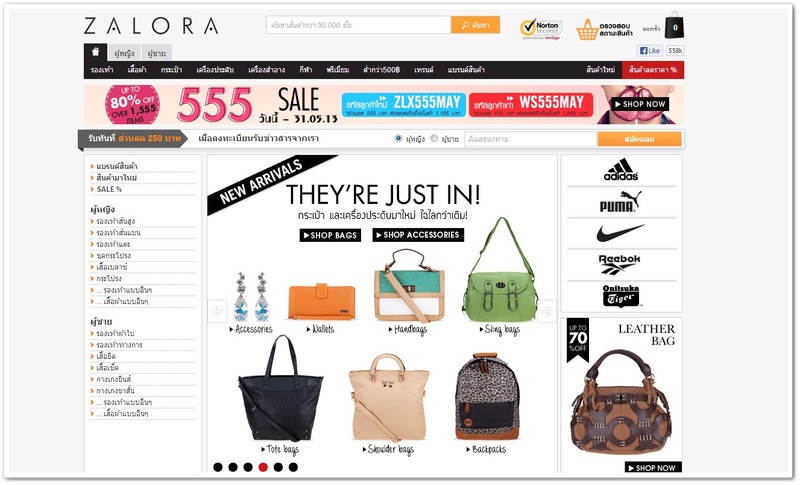 Zalora and its electronics-led sister site Lazada are very often thought of in tandem. In addition to sharing common investors, both companies are aiming to grow in Southeast Asia and create an environment for e-commerce, so how do they co-exist? Given the supply chain challenge, the two companies do share warehouses in some locations, but the operations and areas are clearly separated for each company, according to Ferrario. 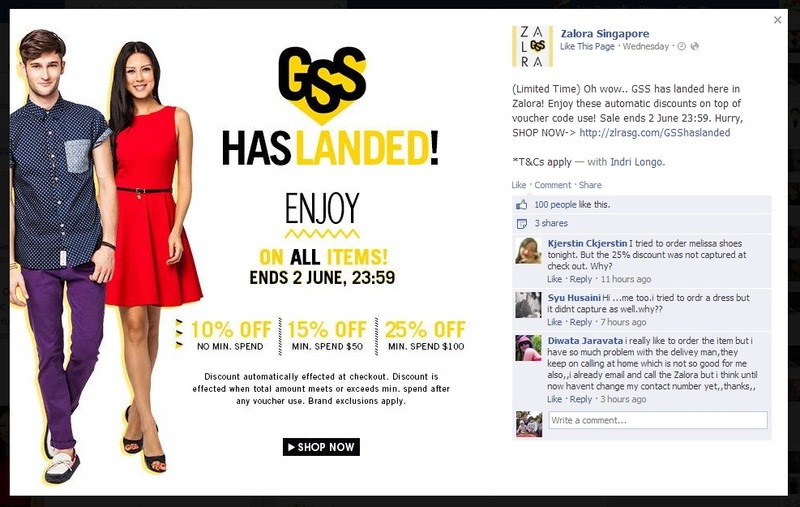 Early in its time in Southeast Asia, both Lazada and Zalora got a reputation for a high amount of turnover from staff. That worked in two ways. Firstly, it was said that in many in places — such as Bangkok and Singapore — new joiners from Asia struggled to adapt to the company’s mentality and the demands of working life. That was said to include late nights in the office, a gruelling schedule and other in-office demands that are common with a company that is starting out. That led to many leaving the company within months, or weeks, of joining, and both companies become known for operating a ‘revolving door’ of employees in some Southeast Asia cities. At the same time, many of the European managers brought in to oversee operators came and went. Past defectors told TNW that this was in part due to cultural and adaptation issues, and in other cases due to the constant turnover of junior staff and other business-related issues. A year on and Ferrario doesn’t believe that the turnover has been notably high. Either way, he says, Zalora has found its core team and that it is a place for those that want the kind of challenge that an ambitious, growing business offers. “We have a very stable team, but, obviously, with more than 1,000 people some kind of churn is natural. Someone else launching a similar biz would struggle to attract the quality staff we have,” he suggests. “If you teach entrepreneurism some people will want to do things on your own, it’s natural, much like McKinsey sees many employees leaving for managerial jobs,” he says. Ferrario insists that “there is no plan” to reveal revenue and other financial figures just yet, but he does tease that revenue is already in the double-digit million (US dollars) range across the region. Pushing further, he expects the company to be profitable before 2015. “We are a young company investing heavily to be leader in the market, and the aim is to be profitable by 2015,” he says. While service is obviously a key area, so too developing for mobile is an important focus for Zalora. The company launched mobile versions of its websites in the beginning of the year and its iOS app, launched one month ago, has performed “above expectation”, according to Ferrario. Right now mobile accounts for around one-quarter of all sales, but he foresees that changing in the coming period. “We expect that within 18 months or two years, we will see more sales via tablet than desktop and PC,” he predicts. Explaining that tablets are the particular focus of mobile because the larger screens are better suited to shopping and Internet browsing than a smartphone, Ferrario adds that the devices “are more present in customers’ lives”. They are particularly important, he argues, because many consumers in Southeast Asia leapfrog the desktop PC experience, going straight to mobile. Rocket Internet and its businesses, like Zalora, aren’t about to undo their reputation as copycats, but, in the case of Southeast Asia, there’s a strong case to be made that they are genuinely pushing the barriers and providing a service that is unique to the region. It’s barely fair to call the company a startup — its revenue from investment is on another planet — but, as we’ve said before, it is inspiring some would-be founders to believe that they can make a company in Southeast Asia, helping young people get a taste of entrepreneurism and educating the wider market about e-commerce; all of which is most definitely a good thing, irrespective of whether you believe Rocket Internet is little more than a clone factory. Whether or not Zalora or Lazada will stifle small e-commerce players, or be rivalled by another large company in Southeast Asia is unclear at this early stage. Going on feedback from friends and family, the service is still lacking the quality and consistency of major fashion firms like ASOS, while there still appears to be a steady stream of staff leaving despite comments to the contrary. With Ferrario up all night worrying about service and Rocket Internet investors continuing to pour money into the company, both companies are the online commerce players to watch in Southeast Asia despite those concerns.